Lieut. 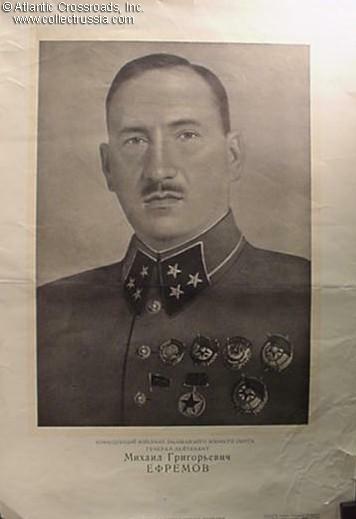 Gen. Mikhail Efremov, commander of Transcaucasian Military District, 1940	Uncommon portrait. Efremov commanded 33rd Army which was annihilated in the encirclement at Vyazma in April 1942. He committed suicide rather than being captured alive after all attempts to escape to the Soviet lines failed. 14"x21" good condition.